So, Xmas is gone and Saturday arvo is Race 3 of the Kingfisher Night Race series. 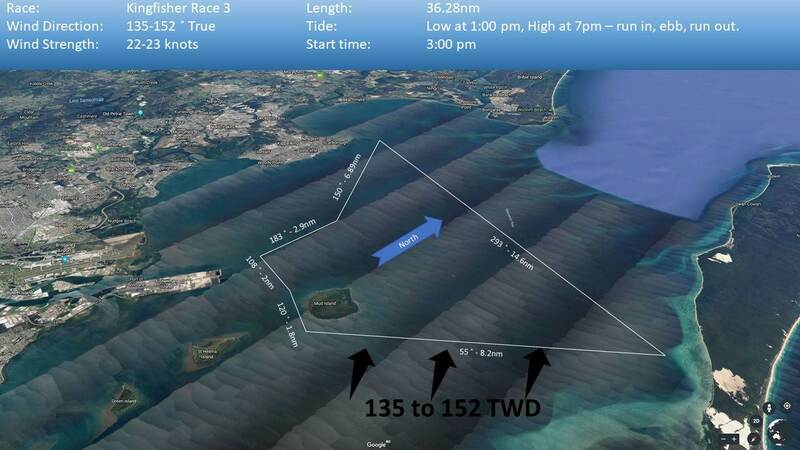 This is a great series, with a course length of about 35nm and a start time of 3pm, you have a good chance of racing under a full moon. If it rises in time, which it is this weekend, it makes a big difference, the primary benefit is that you can see! Racing at night makes everything harder, from checking lines aren't fouled, checking halyards are not crossed up the mast, gybing and takedown of kites, determining current drift, judging distances. It's awesome fun but you're also reliant on the other skippers, crosses can be hard to judge. And the forecast is strong?sh winds. I'm doing up my passage plan, it's looking like a fast race, so if the forecast holds we'll leave the headsail alone and opt for the staysail and gennaker with a couple of reefs. 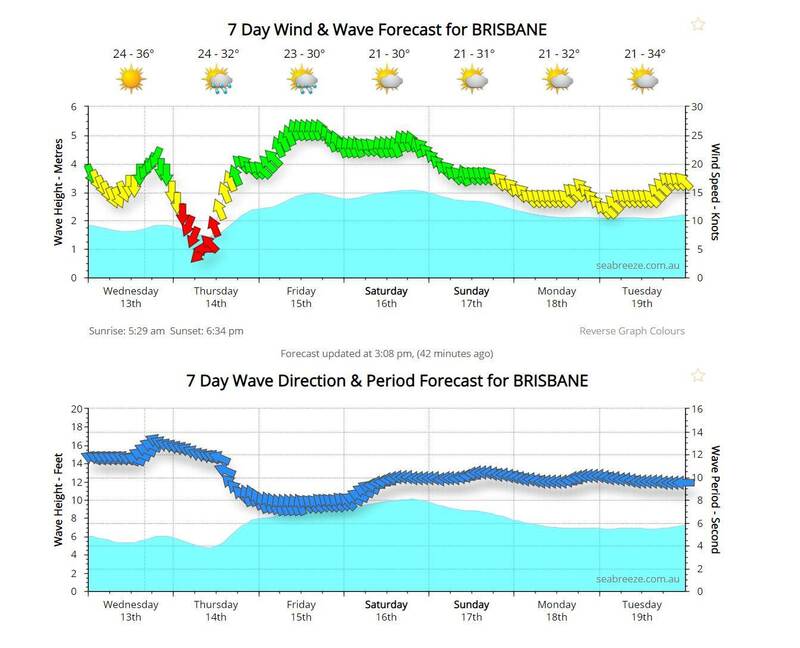 The swell will make it interesting, there is a fair bit of open water for the swell to build up, the breeze is constant for the preceding 24 hours, and it's wind opposing a weak tide for most of it, so am expecting to get wet! We'll cross the main shipping channel twice, so with a lot of danger variables I'm spending more time on planning on this one. Hope to see some of you chaps out there. sorry to burst your bubble but don't you go the other way around or have they reversed the course. nice pic of the bay this morning btw! counter clockwise mate, starting west of Mud. Could well be mate, but counter clockwise is as per SI's for Race 3.